An article came in today’s Express also. Kudos to all of you guyz. Btw, I registered in the site…but sumhow I’ve not been still added to the listings. Can you help me out? i signed up and my blog got activated but i’m unable to login..kindly look into it..
My blog is not approved. i don’t think it’s against the guidelines. explain…. I have submitted my blog long time ago but I have not received any activation mail so far. Please be kind enough to activate my blog ASAP. I wish to know the status please! @Lemonade – So much for staying behind the scenes! @Akshaya – Your blog is listed now! 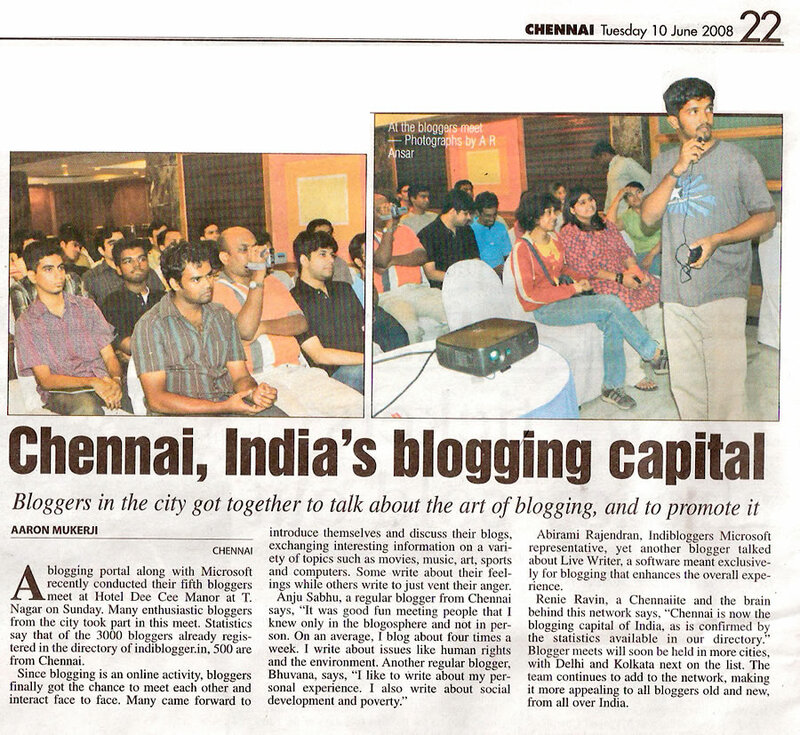 @Joel – our first IndiBlogger meet was in Bangalore, and it was a real blast! We’ll be back there soon enough. 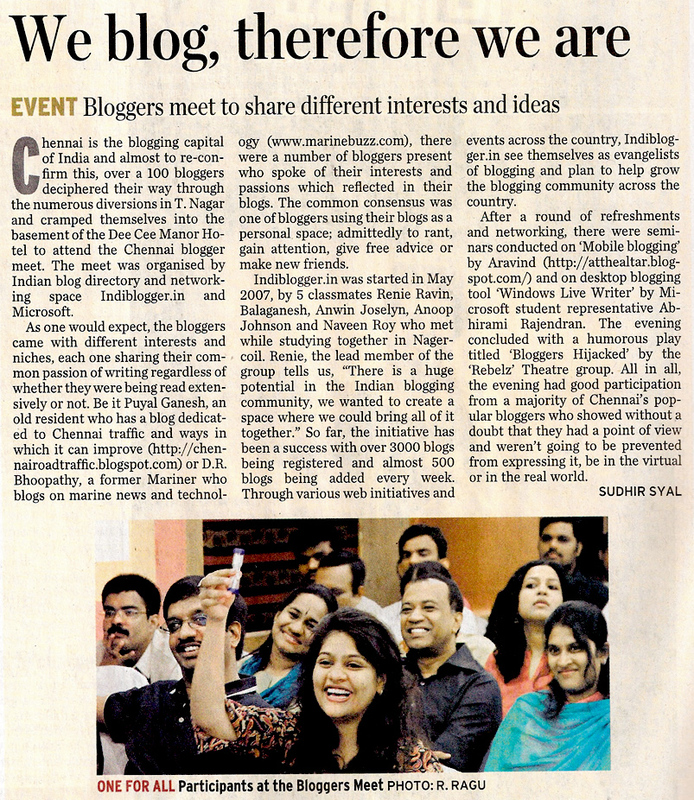 You’re always welcome to use the IndiBlogger network to organize your own meeting though! @Rajesh – Here’s your listing. We just checked your submission, and it’s still “pending” – which means that your email ID was not verified. Did you get the activation link in your email? @guttu – Same as Manohar! Your listing is active, you can see it here. Looks like u guys are rocking! Good job man. Hey I signed up to get my blog listed here. Do I need to add the Indiblogger badge to order to be approved? I was thinking of adding the badge once I got approved, but if the answer to the former is yes then I am in a deadlock. @Dinesh – The IndiBlogger badge has nothing to do with the approval of your listing. You registered yesterday, and we normally take 48 hours to moderate each blog. You’ve just been approved – welcome to the IndiBlogger network! i had registered to indiblogger on the 4th of july and my blog has not yet been approved. a) why is my poor blog being regaled to an anonymous existence? b) when, if ever, will it get listed? also, cheers to the team for a job that they are obviously doing well! I wish to make contact with bloggers using self-hosted WordPress so that we can exchange our ideas and start a forum for mutual help. Could you help me in locating such bloggers in Chennai. guys i am new to blogging arena but have a beautiful blog myself how do i arrange a meeting in my city.? In breaking my head about the reason for ‘bad login’ error being shown whenever I try to look at my network I came across this page where thanks to you I got a few seconds fame on NDTV. Those who haven’t seen me can easily identify me. I am the good looking guy with a green t-shirt:-). By the way my problem was not solved. @ Puyalganesh – you registered quite a few similar blogs with us, which resulted in your login getting disabled. We’ve fixed it – you should be able to login now!